Blog / Solons Alley: What Are We Building? 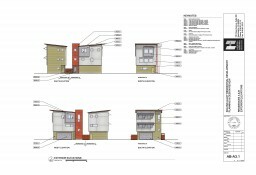 We are planning to build four new homes in Midtown Sacramento. 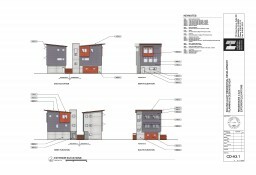 Called Solons Alley Residences and situated on the S Street alley between 28th and 29th Streets, the homes fill the bill for city living near transit, shopping and downtown. We aim to deliver an alternative to home seekers who value quality, efficiency and good design. Solar panels, high-value insulation and efficient heating and air conditioning equate to energy economy and comfort in these homes. A signature of Solons Alley design is the emphasis on windows to allow natural light and airflow. The designs include two 1,452 square-foot homes with 2-bedrooms, 2½ bathrooms and a two-car garage, and two 1,899 square-foot homes with 3-bedrooms, 2½ bathrooms plus a two-car garage. Corten and galvanized steel distinguish the exteriors of these modern residences, soon to be a sweet place to call home.